LET’S TALK ABOUT THE BEST ESSENTIAL OILS FOR STRESS AND ANXIOUS FEELINGS, AND HOW THEY WORK TO EFFECT THE MOOD. Do you struggle with stress and anxious feelings, or should I ask if you have kids or a job? I think these go hand in hand! Life can get stressful and cause us to have anxious feelings. Slowing life down is easier said than done. There is always something going on, coming up, or a problem to deal with. Essential oils can be a very effective natural approach at managing stress and anxious feelings. They can support the brain by reprograming the stress response on a chemical level and effect the mood positively. 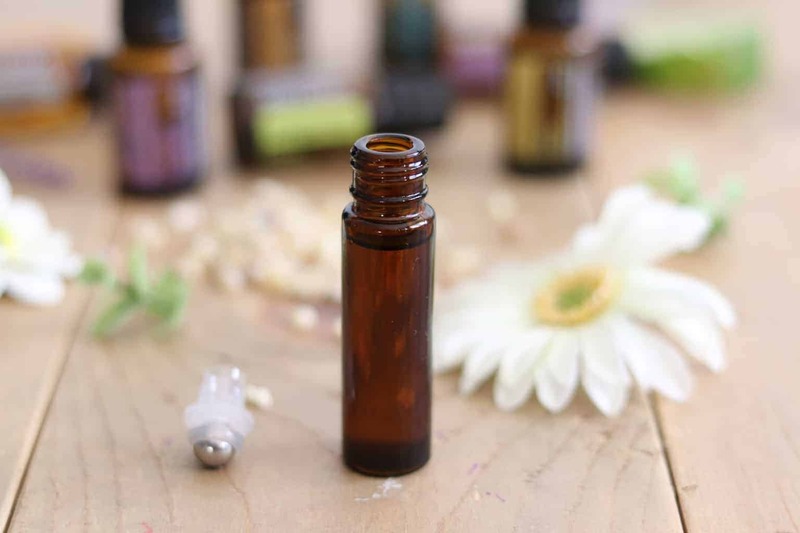 I am going to share my favorite essential oils to use in a stressful situation, how to use them, and the ultimate stress and anxiety roller bottle recipe. Lime is a very uplifting essential oil that lets off a fresh, clean, citrus aroma. It can help affect the mood positively and help you to feel more motivated. Bergamot is very calming yet energizing making it very effective for stress. It has a mild, lovely citrus smell and is one of my personal favorites! Bergamot can be very helpful at soothing anxious feelings and help you to let go of things that are causing the stress. Similar to lime, lemon is very uplifting and invigorating. Studies have shown that when people use lemon essential oil it can improve mood, help you to stay on task, and reduce stress. Lavender is a very calming essential oil and can be used to promote feelings of relaxation, especially in a stressful situation. Just by inhaling lavender it can lower blood pressure, heart rate, and put the body in a relaxed state. Copaiba is a newer essential oil to me, but quickly made it into my daily routine. It is amazing at calming the nervous system and reducing anxious feelings. It comes from the resin of a copaiba tree and has a mild yet spicy woodies aroma. The next three essential oils I am going to mention are blends made by DoTERRA. 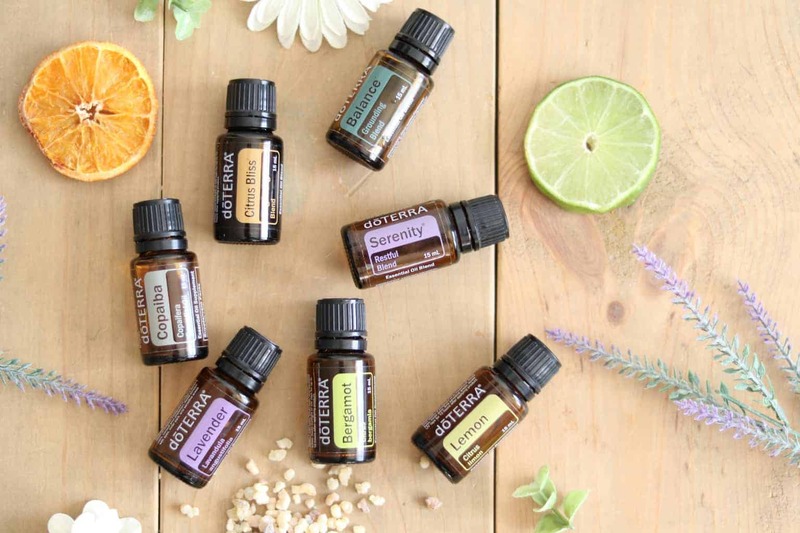 I usually like to keep the blog not specific to DoTERRA so those who use other essential oils can follow along and benefit from my posts. However, for this specific post I had to mention these 3 blends because they are so incredibly effective for stress and anxious feelings and are the oils I use most often for this aliment. Serenity is DoTERRA’s restful blend. It is a blend of lavender, marjoram, roman chamomile, ylang ylang, Hawaiian sandalwood, and vanilla Bean. This one does exactly what it is named after and helps the body to enter into a state of being calm, peaceful, and untroubled. This blend is perfect for nighttime when you are trying to turn the brain off before going to sleep, especially on nights when you are feeling extra anxious. Balance is DoTERRA’s grounding blend. It is a blend of spruce, ho wood, frankincense, blue tansy, and blue chamomile. I like to call this blend my “I have 4 kids 5 and under.” It is one that I use almost daily and it has such a beautiful scent. It promotes tranquility while balancing and grounding the emotions. Citrus bliss is DoTERRA’s invigorating blend. It is a blend of wild orange, lemon, grapefruit, mandarin, bergamot, tangerine, clementine, and vanilla. It is a perfect blend of citrus essential oils and can be used to uplift the mood. Citrus bliss can also be used to promote energy and help you to stay focused. 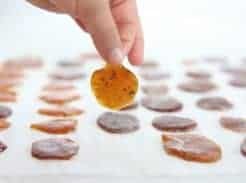 Several citrus essential oils make this list and that is because citrus oils help cells return to their normal state and interrupt unhealthy stress responses. Using essential oils aromatically can be very effective for mood, stress, and anxiousness. This is because when we inhale something it goes through the nasal cavity and hits the limbic system. The limbic system, known as the emotional brain, is the part of the brain that is directly connected to heart rate, blood pressure, breathing, memory, stress levels, and hormone balance. Add your favorite blend (or a drop of each) to a diffuser and diffuse when feeling stress and anxious. If you don’t have a diffuser you can put the essential oils in the palm of your hand and cuff them over the nose. Simply inhale the essential oil out of the bottle for an easy and quick relief. You can apply these essential oils topically when feeling anxious or stressed as often as needed. The best place to apply essential oil to assist mood is across the forehead, sides of neck, behind ears, and on the roof of the mouth. My favorite way to use essential oils topically is by making a roller bottle. It makes it convenient and easy, plus you can keep a spare roller in your purse for on the go. To make this roller bottle add 5 drops each of lime, bergamot, lemon, lavender, serenity, balance, and citrus bliss to a 10mL roller bottle. Top off with fractionated coconut oil and shake well before use. Taking essential oils internally can be very effective at calming and soothing the nervous system. Always be sure to check the labels on your essential oil bottle before ingesting it to be sure it is intended for internal use. Learn more about ingesting essential oils here. Add 1-2 drops of essential oil to 4 ounces of water and drink through out the day to ease feelings of stress and anxiousness. Make a pill by adding 2-4 drops of essential oil to an empty veggie capsule. This is a great option if you are ingesting an essential oil that you don’t like the taste of. The easiest way, at least for me, to ingest essential oils is to simply drop the oil under the tongue. Hold it there for 30 seconds and swallow. This is very effective! Using essential oils to help with mood is a great natural solution! 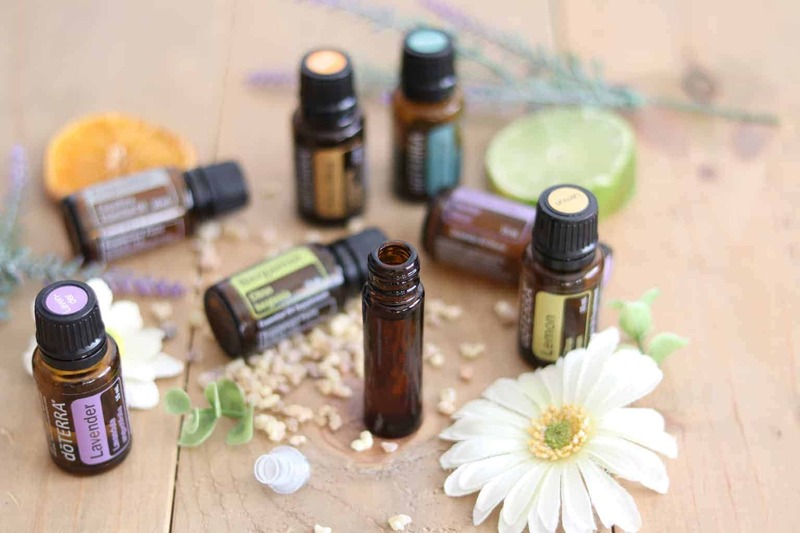 Have you ever used essential oils for stress or anxious feelings? What blends did you use? Great suggestions! The citrus bliss sounds amazing with the vanilla. I love orange, I call it my happy oil! Thank you! Citrus bliss is one of my favorites to diffuse, it smells amazing! I love bergamot! I bought it to use as a perfume and wasn’t for sure if I liked it at first. After only a few days it’s now one of my favorites. Definitely helps with stress and anxious feelings! I love bergamot too! It is my favorite citrus oil and I love wearing it as perfume. Thanks for the tips. I’ve heard a lot of places that one shouldn’t ingest essential oils? Is that just a precautionary statement? You got me when you said that lavender can provide you with a feeling of relaxation because of its calming effects. My sister is planning to shop for essential oils that she can use. She said that she wants to find a type of essential oil that can benefit her when she feels too stressed after a long day of work. I will share this with her since she always suffers from sleepless nights when she’s too stressed. I hope this roller bottle recipe helps her! If she has any questions about essential oils she can email me, I am happy to help!